Rents: Can landlord and tenant freely agree rents in Switzerland? The amount of the initial rent can be freely agreed upon between landlord and tenant. However, should it be found that the initial rent charged by the landlord is significantly higher than the previous rent for the same property or that the tenant felt compelled to conclude the lease agreement on account of personal or family hardship or by reason of the conditions prevailing on the local rental property market, the tenant can challenge the initial rent as abusive within 30 days after taking possession of the property. Such claims are rarely successful, since judges only intervene in extremis. Apart from challenging the initial rent the tenant has the possibility to challenge the rent as unfair during the lease. Rents are considered unfair if they permit the landlord to derive excessive income from the leased property or if they yield a clearly excessive income. Swiss courts consider an income excessive once the net return exceeds half a percent of the interest rate for the first mortgage. In this context it is quite common to request a rent reduction as soon as the reference interest rate falls. An income is considered clearly excessive if it substantially exceeds the benchmark of an earning rate calculated on the basis of standard rents for similar property in the locality or district. Provided several formal requirements are met, the rent for a tenancy agreed for an indefinite period can be increased by the landlord at any time with effect at the next termination date. However, if the new rent is significantly higher than the old rent, the rent increase runs the risk of being considered abusive. The landlord can ask for rental security. For residential leases the requested security shall not exceed three months' rent. The landlord is obliged to deposit the security in a saving account or in a deposit account in the tenant's name. What rights do landlords and tenants have in Switzerland, especially as to duration of contract, and eviction? Three days' notice expiring at any time for chattels. The law provides specific reasons justifying the termination of the contract by special periods of notice, or even with immediate effect. Both sides are entitled to extraordinary notice where performance of the contract becomes unconscionable for good cause. Examples for good cause include a tenant's anxiety after a burglary or serious changes to the financial circumstances. In addition to the extraordinary termination of the tenancy, the tenant has the right to return the dwelling early. That right releases the tenant from observing any notice period or deadline for termination as soon as he proposes a new tenant who is acceptable to the landlord, solvent and willing to take on the lease under the same terms and conditions. In case of termination by the landlord, the tenant can request the extension of the lease for reasons of hardship. Unless the interests of the landlord overweigh the interests of the tenant, the extension might be granted within the overall limit of four years for residential premises and six years for commercial premises. The extension of the lease is a quite common request and there is a substantial risk for the landlord that it will be granted at least partially. With regard to temporary lease, it needs to be mentioned that any temporary lease can be re-evaluted as indefinite if the lease is tacitly continued. Perennial tenancy agreements are not allowed, and are automatically converted into agreements of indefinite duration. While it is not illegal to repeatedly renew expired tenancies, such a chain of agreements may be interpreted as an agreement unlimited in time. A contract with provision for automatic renewal after a year, for instance, would be interpreted as an indefinite duration tenancy. How effective is the Swiss legal system? The legislators' intention was to encourage extra-judicial conflict resolution. Therefore, some requests must be submitted to the landlord prior to filing the lawsuit. In addition, the government has established a free­of­charge arbitration board, which is the obligatory first port of call for any claim. The conciliation proceeding is simple and quick, there being no elaborate formal requirements. If no agreement can be obtained, or if the decision is not accepted, the party which insists on its demand has to file a lawsuit within 30 days. If the issue is taken before a judge, it can take one to two years before a decision is finally handed down. The most important regulations can be found in Art. 253 to Art. 274 g Swiss Code of Obligations as well as in the Ordinance on the rental and letting of residential and commercial properties. In addition, there are various other relevant regulations. 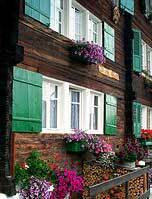 On an international comparison Swiss tenancy law can be considered as tenant friendly. This might be a reason why Switzerland is known as the land of tenants; compared to other Western European countries Switzerland ranks amongst those countries with the highest proportion of tenants. Due to falling mortgage rents this picture has slightly changed during the past years, while today the rise in mortgage interest rates begins to redraw the picture. Therefore tenancy law features prominently on many politicians' agenda. The focus of political interaction lies on rent regulation in particular. However, since the entire revision of tenancy law in 1990, no attempts for another revision were successful. In 2010 the last reform request was rejected by the national council. How high are estate duties in Switzerland?